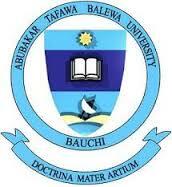 Abubakar Tafawa Balewa University, ATBU Bauchi Governing Council Appoints Prof. M.A. Abdulazeez as New Vice Chancellor. The Abubakar Tafawa Balewa University's Governing Council has announced the appointment of a new Vice Chancellor; Prof. M.A. Abdulazeez. As signed in a statement by the Council's Secretary and Registrar of the University, Dr. A.G. Hassan. The appointment of the New V.C was confirmed by the said Council during her 26th Special Meeting held earlier today, 6th April, 2019 based on recommendation of the school's Senate Selection Board and the Joint council of the Institution. In accordance with Universities Miscellaneous Provisions Amendment Act, 2003 the tenure of the new V.C will be for a period 5 years in office with a start date: 26th April, 2019. The ATBU, Bauchi family and prestigious students of this great university joins to say congratulations to our New Vice Chancellor Prof M.A Abdulazeez and wish you great success and achievements as Vice Chancellor.